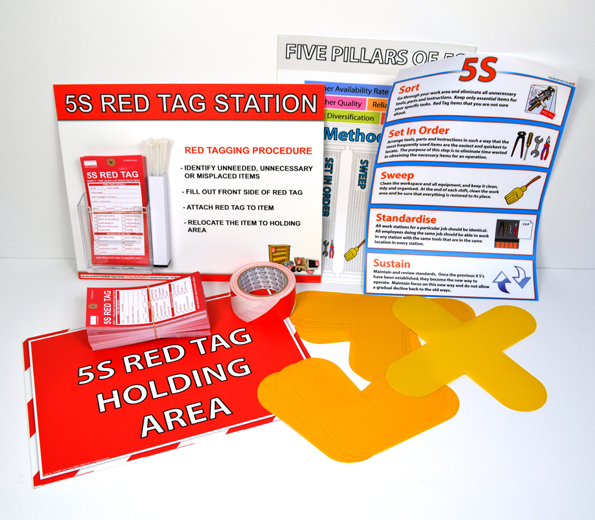 Exclusive to Fabufacture and launched due to popular demand, we are very pleased to bring you the 'All Industry' 5S Starter Kit! 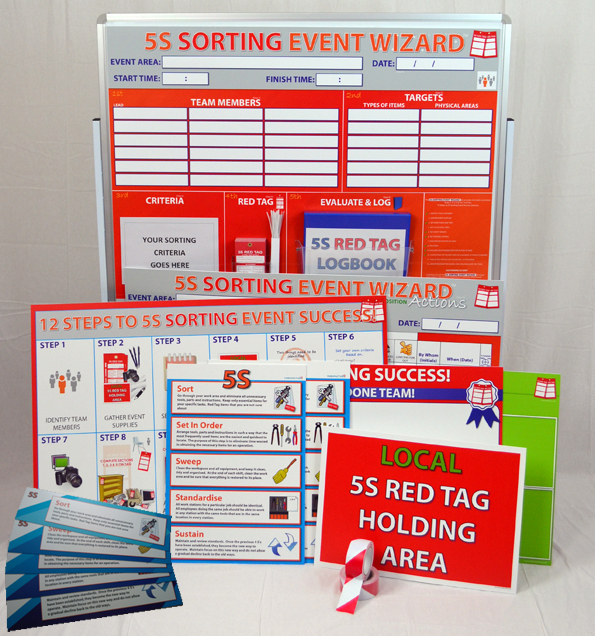 Designed to be used in all Industries, this kit provides numerous benefits for these just starting out on their 5S journey and for these continuing to roll out the methodology across their facility, as well as training professionals. 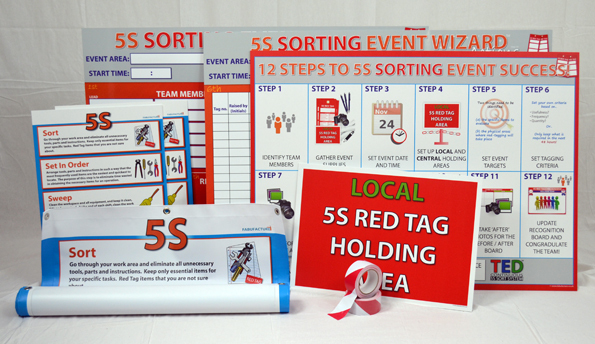 The BRONZE 5S Sort Event Success kit is a purpose made kit that provides you with an effective sorting kit for the more budget conscious. This kit offers fantastic value for money. 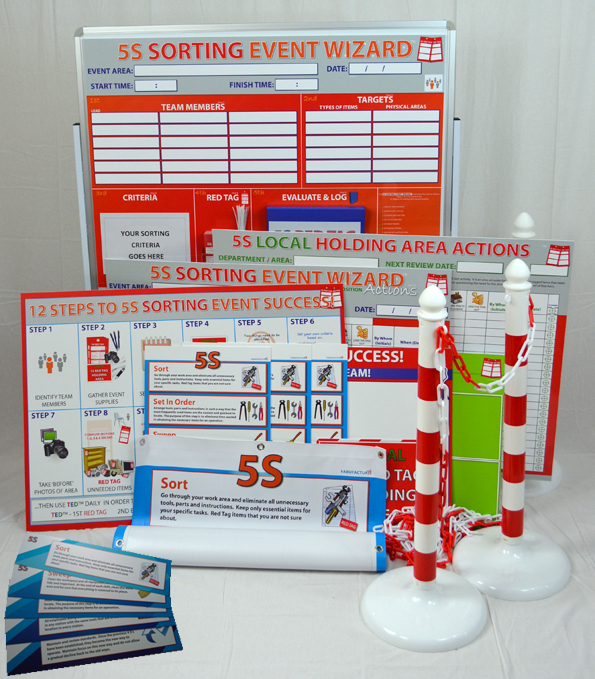 Included in this kit, is the award winning '5S SORTING EVENT WIZARD', a powerful team based, interactive red tagging tool that takes team members through the 12 steps of successful 5S sorting. 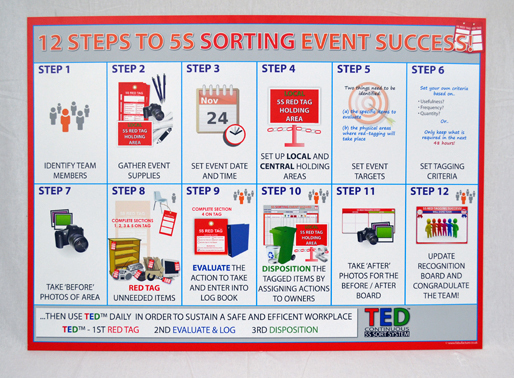 Your facility can be running successful 5S Sorting events in under an hour and with high impact results.